What a trip! 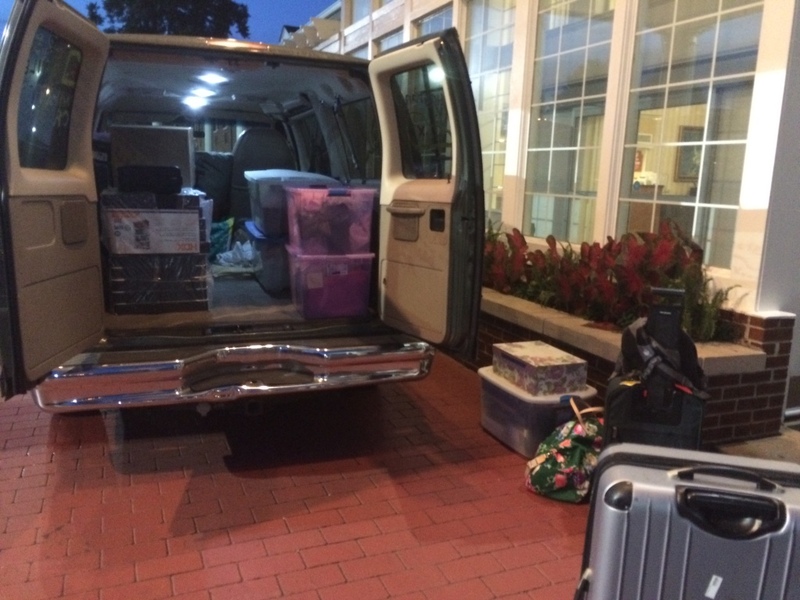 My NAN/Breyerfest Extravaganza, aka Kentucky Ahoy, aka 2500 Miles to Paradise, aka Sleep is for the Weak… is over. I’m home, rested, recovered, and even starting to organize my hundreds of photos. I partially did this trip because I wanted to understand what all the fuss was about, and boy, do I! I’m going to do my best to share my experiences here in a series of posts- I could never fit it into one or two! 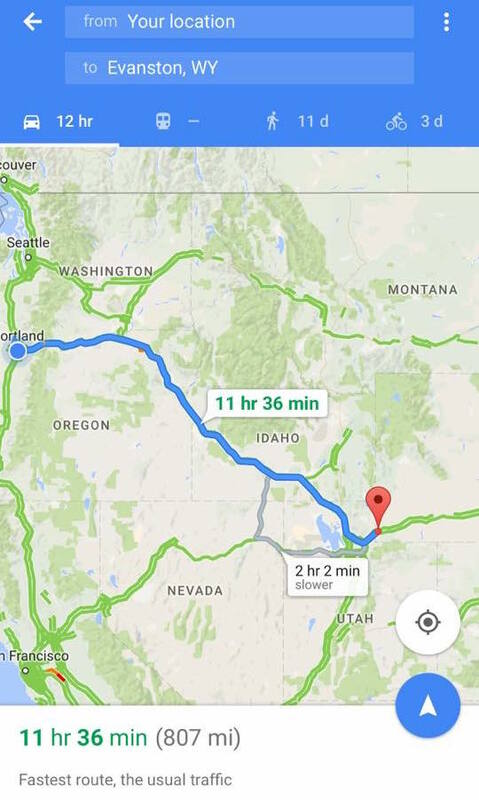 Our roadtrip started at 6am on a Friday. 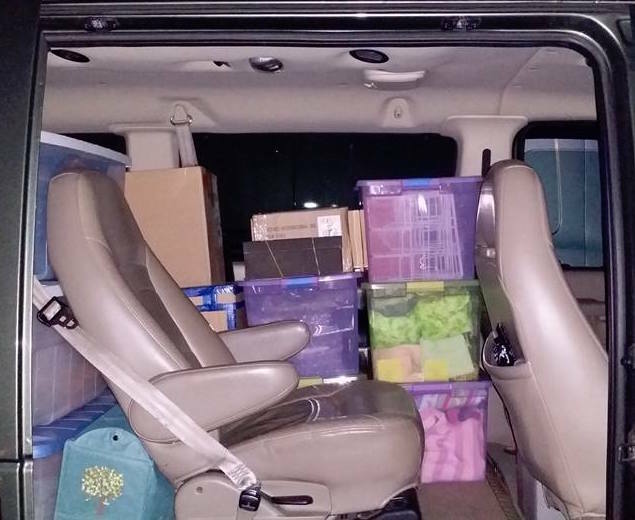 With three showstrings, road snacks, several duffles, and multiple totes of sales neatly tetrised into our beautiful van, we headed east. And kept going east, and kept going, and going. You know, when you have good friends and good conversations, 2500 miles just isn’t so bad. We switched drivers regularly, marveled at the intriguing souvenirs sold at truck stops, looked for antelope, and complained (once we got to Nebraska) about the endless cornfields. We only got lost once, very briefly, in the wilds of south western Iowa. 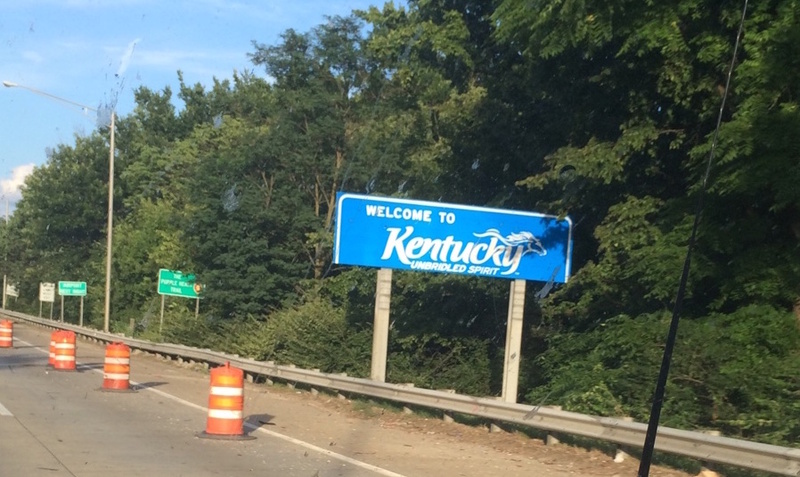 And finally, one day three, we reached Kentucky. From there, it was just a little bit longer to our final destination, the famed Clarion Hotel in Lexington. 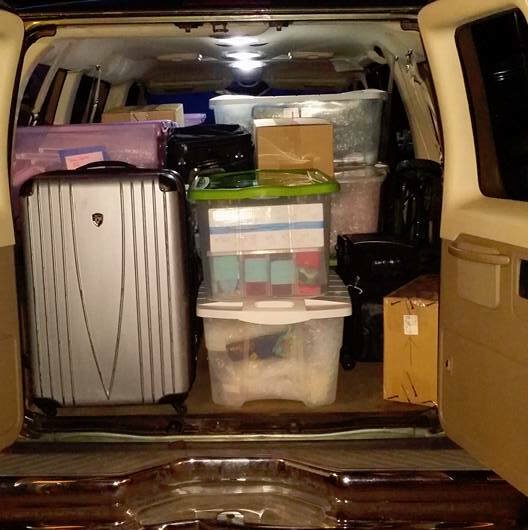 Roughly sixty hours after we left home, we had arrived. Let the festivities begin! 2016 is going to be a big year for me, hobby wise. 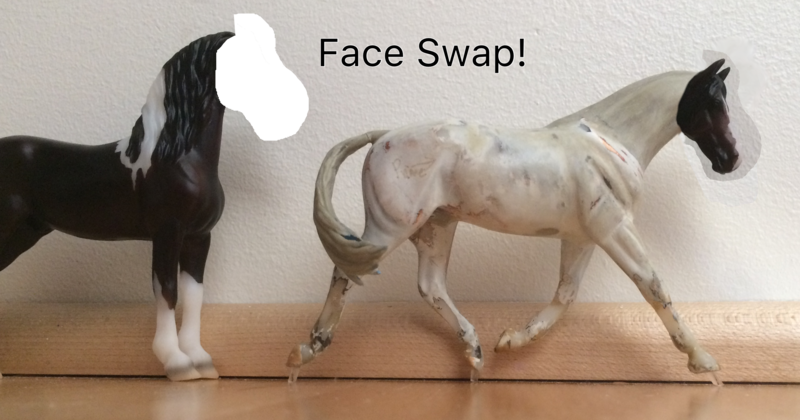 Through luck, circumstance, and a bit of cajoling, I am planning to attend Breyerfest and NAN in July. And because that’s not scary enough, I’m also attending Breyerwest in March. 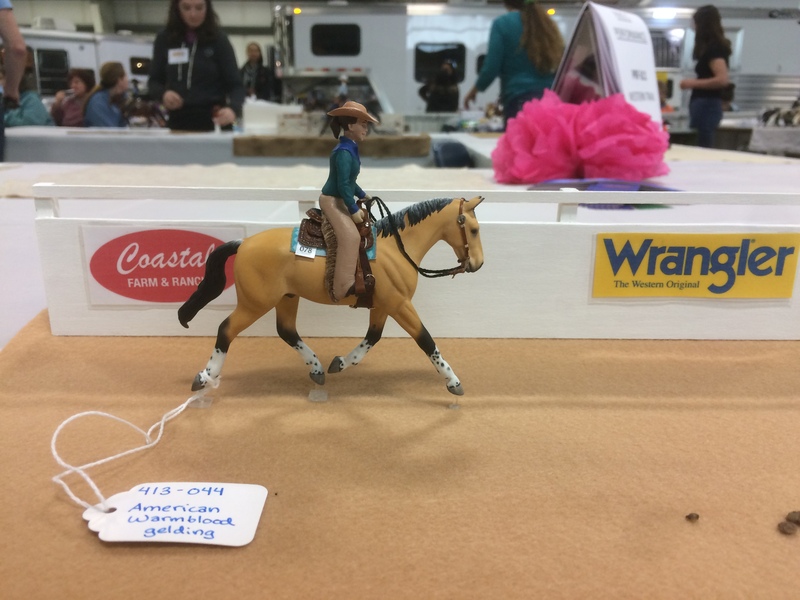 Breyerwest is something like a scaled down Breyerfest, which takes place on the west coast. It’s a way for hobbyists who can’t regularly travel to Kentucky to get a similarly awesome event. Breyerwest hasn’t been held in a few years, but I’m hoping that if this year goes well it will become a regular thing. I’m very lucky to have Breyerwest happening less than two hours away. 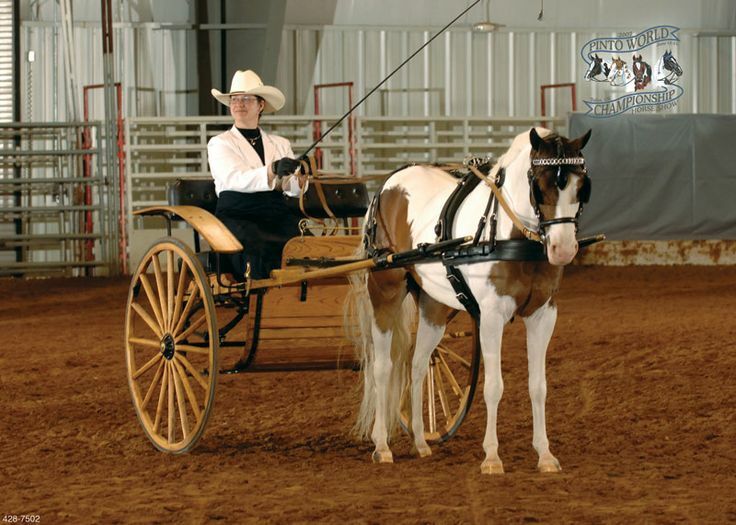 Like ‘Fest, ‘West is going to have live shows, demonstrations, seminars, equine guests, and more! 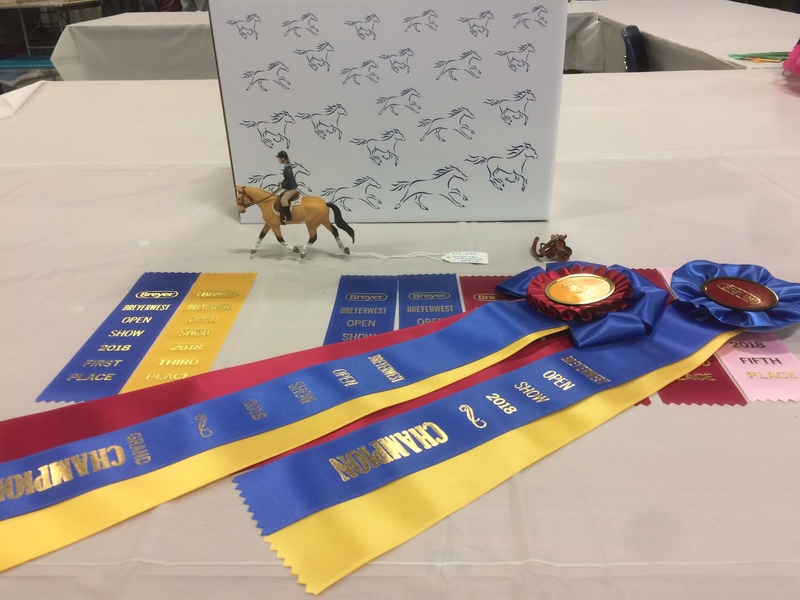 Champion pony Smokin’ Double Dutch will be there! I’m excited and also apprehensive about these big plans. These will be the biggest three live shows I’ve ever been to, with some seriously tough competition. I’ve got a mighty to-do list organized by task and priority to guide me through the preparation and hopefully maintain some sanity. One of the things I’m looking forward to most about these events is visiting with hobbyists. I’ll get to spend lots of time with some of my favorite people, and I’ll finally get to meet folks who’ve I’ve only talked to online. Give me a shout if you’re planning to attend! 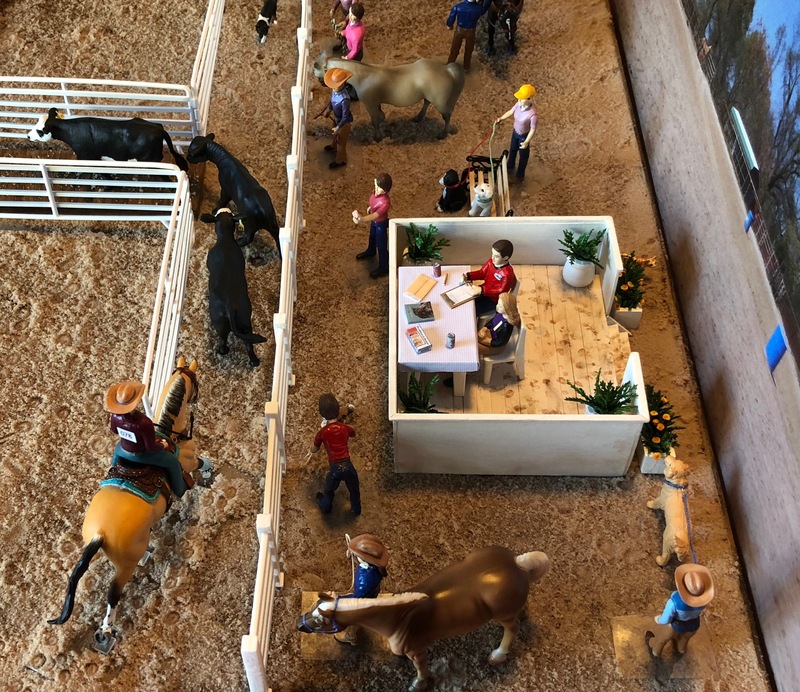 I’ve never been more invested in Breyerfest than this year. Not only have I been helping Erin ready her performance entries for the live show (and making some last minute props! ), but I also have a model of my own attending and competing! 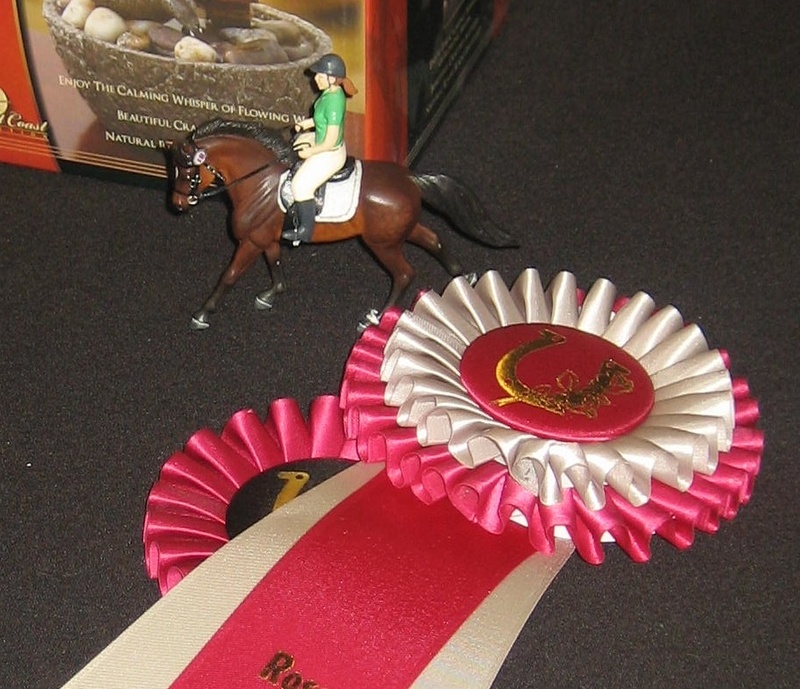 My horse Nightfox was chosen as a finalist in Breyer’s Custom Contest! 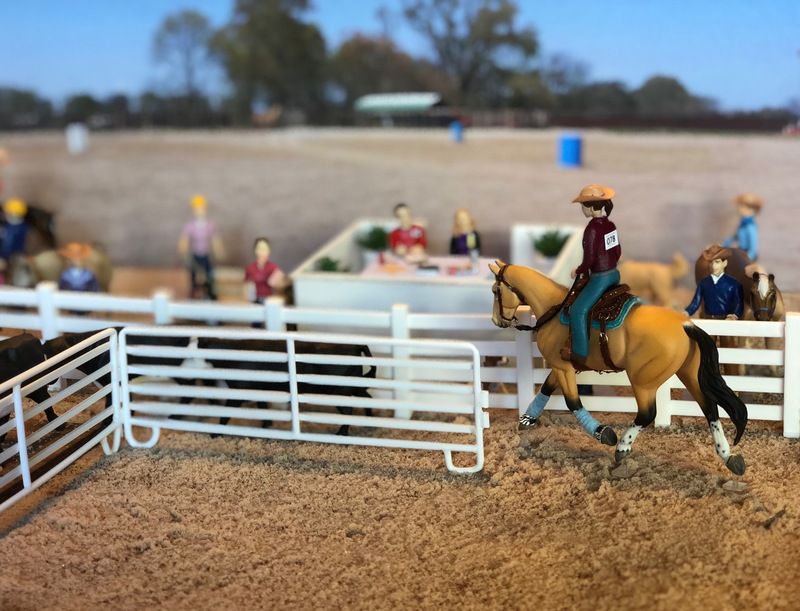 Breyer announced this contest in mid May, and (with a little encouragement) I set to work finalizing some details so I could enter Nightfox in the Performance Excellence division. 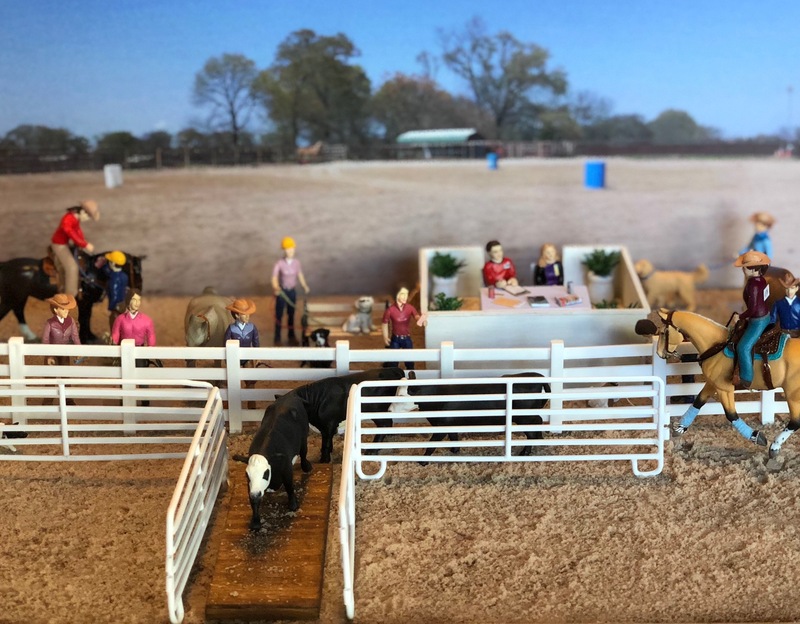 As someone who makes all my own customs, tack, props, etc., it’s wonderful to have Breyer host a contest where individuals enter horses of their own creation. I take a lot of pride in my DIY approach to the hobby, and it’s very rewarding to have it recognized. 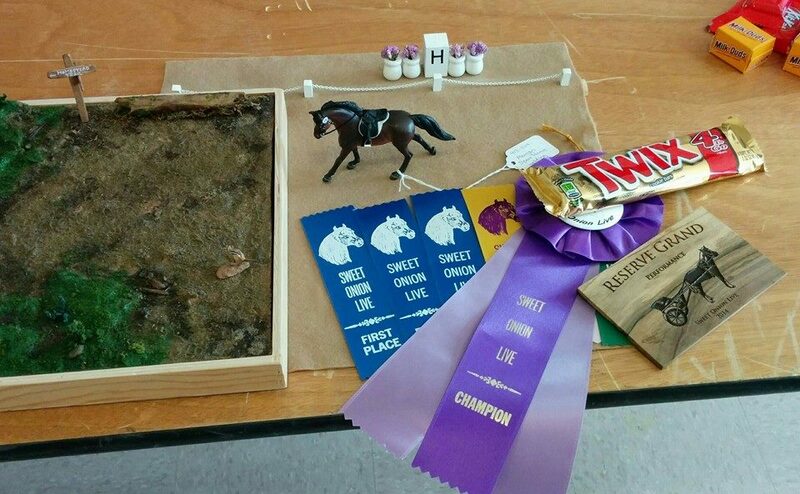 Thank you to Breyer for holding this contest and the judges for donating their time. 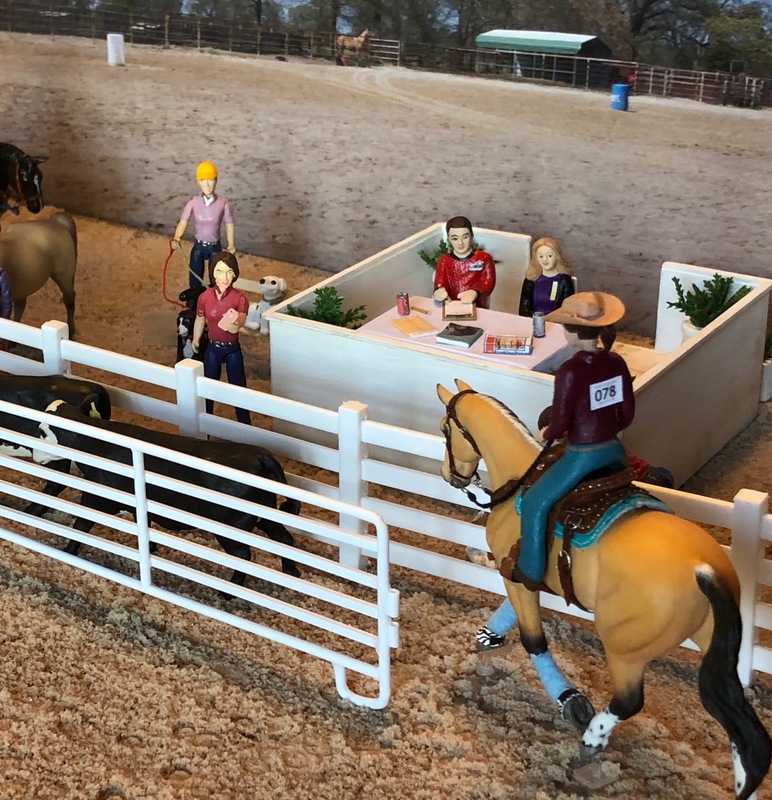 I’m so honored to have been chosen and excited to have my work on display at the model horse event of the year. It’s my own little Armchair Breyerfest!